Morpheus8 is a revolutionary new method of microneedling which combines its skin-refining benefits with the skin-tightening action of radio frequency (RF) and fractional energies. By combining RF, fractional energy, and microneedling, this one procedure deeply stimulates your body’s production of collagen and elastin, improving areas of skin laxity, skin tone, texture, and its overall appearance. Vibrant, glowing skin is a universal sign of beauty and vitality. Unfortunately, environmental factors, the visible signs of aging, and lifestyle choices can all take their toll on your complexion. If you would like to revitalize your complexion and achieve luminous, healthy skin without invasive surgical procedures, Morpheus8 from New Face NY can give you the glowing, lifted skin you would like to achieve. The Morpheus8 is a subdermal adipose remodeling device (SARD) designed to refine the contours of the face and body. In the past, fatty tissue such as jowls or an unsightly double chin could be treated only with surgical procedures. Due to the depth at which Morpheus8 is able to penetrate the skin, it allows for greater contouring and control in creating graceful facial lines without the need for incisions. 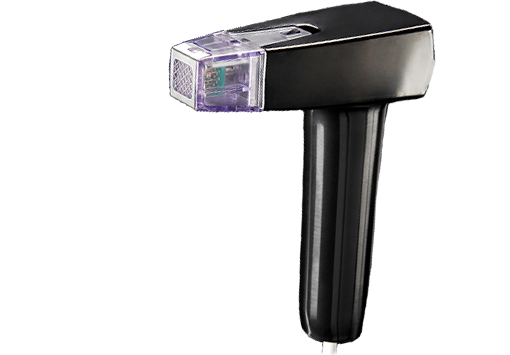 At a depth of more than five millimeters, the microneedles of the Morpheus8 can penetrate deeper than traditional microneedling devices. This allows the Morpheus8’s RF and fractional energies to be delivered even deeper than other methods of treatment, targeting areas where fat deposits live. This triggers a process which calls on your immune system to stimulate cell-turnover and increase cell production, giving a lifted effected to the treatment area. Once the Morpheus8’s microneedles have penetrated the dermis, powerful RF energy further stimulate the production of collagen to tighten skin while fractional energy will further increase collagen production while smoothing lines and wrinkles. Morpheus8 is appropriate for treating areas where skin laxity and tone is a concern. Most commonly, Morpheus8 is used to treat areas of the lower face and neck. Other areas of the body which exhibit signs of skin laxity, acne scars, stretch marks, or uneven skin tone may benefit from treatment with Morpheus8. What Other Treatments Can Be Combined With Morpheus8? The advanced technology of Morpheus8 can be further enhanced when combined with other procedures. Morpheus8 may be combined with FaceTite or BodyTite to multiply the skin-tightening effects of the procedure. When combined with these treatments, Morpheus8 provides greater contouring for a more youthful profile. Morpheus8 may also be combined with liposuction to tighten issues of skin laxity once liposuction has been performed. Since Morpheus8 is only a minimally invasive procedure, no downtime is required. You will begin to notice Morpheus8’s skin-tightening benefits as soon as a few days following your procedure. As the weeks pass, new contours will begin to take shape resulting in a more youthful appearance. Your full results will be visible approximately three months following treatment with Morpheus8. Multiple sessions may be necessary in order to achieve optimal results. While each patient will react differently to Morpheus8, Dr. Westreich often recommends a series of one to three treatments. Why Should I Choose Dr. Westreich? In the right hands, Morpheus8 is a powerful tool for achieving more youthful contours to your face and body. When seeking treatment with Morpheus8 in New York, it is important to find a board-certified plastic surgeon who understands how he may best enhance your natural beauty. Dr. Westreich has a unique eye for facial beauty and symmetry as well as the vision to transport your facial contours to a more youthful, rested place. He knows that your comfort and feeling of ease with him are of the utmost importance. If you’re interested in Morpheus8’s skin-tightening, lifting benefits, there is no other surgeon in Manhattan whom you should trust.